Do you have an animal lover in your world? 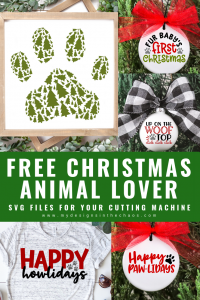 If so, then you need these adorable animal lover Christmas SVG files. They would look super cute on signs, ornaments or shirts. We don’t mind if these designs are used on items for your friends, families, or even to sell. The download comes with a commercial and personal use licence. Items are to be made in your own home with no more than 200 uses of a single file. Items are not to be outsourced or printed by an outside company like Amazon Merch or Printful. Also no part of our designs are to be used to make new designs or re-sold. Please reach out if you have any additional questions. Also make sure to pin the images below, we greatly appreciate it. If you like these designs then I’m sure that you will love browse our shop with a variety of animal lover designs here. We can’t wait to see what you create with the files and how they come to life! Please note that when shopping through our links we earn a small percentage at no extra cost to you. This file is simple and cute and perfect for the holidays. It would look great in a glitter green vinyl or even with some green paint on a sign. 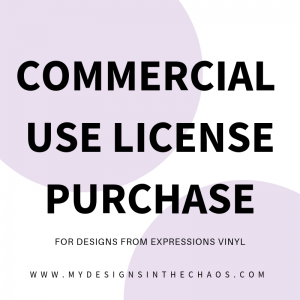 This glitter vinyl collection would be a great addition to your stash and I can see it being used on an endless number of projects. Put two of these designs together to give the fun effect of footprints! Oh I can see the possibilities now! I just absolutely love these ornaments. Make them a little more personal with your pet’s name on the bottom or even the year would look great. Grab some blanks like this here and some tulle to create the beautiful bow here. This happy howlidays design is great for the dog lover in your world. They will for sure appreciate the play on words. This design will give you a great seasonal shirt throughout the entire season. Learn all about how to make your own shirt with heat transfer vinyl here. I absolutely love these circle ornaments and the beautiful ribbon and cute design just make it perfect! Grab some ribbon just like it here. An ornament like this would also look great with this design and a red buffalo plaid ribbon as well! If you make this make sure to send us a picture. I think it is my favorite! Last but not least this ornament is simple, classic, and easy to make. Even though we have the mock up displayed in several colors I can absolutely see this design being just as great in all one color like this gorgeous red vinyl. Just remember it it is on fabric you will use HTV and on something like an ornament or glass it you need adhesive. Use this guide to know exactly which type of vinyl to use for which project. As we mentioned above, before you download we request that you pin the images above so other avid animal lovers can also find these freebies. Crafting friends don’t let crafting friends miss out on free SVG files. 🙂 This is also what helps us to continue to provide adorable files for you to use. Check out more holiday freebies here. Happy Crafting, Cutting, and Chaos! These are perfect for all my friends with pups! Thank you so much. My granddaughter got a new puppy a month or so ago. I can’t decide which design to make into an ornament for her. They’re all so great that …. I may have to make and give her a set! Thank you so much for these wonderful, and timely, designs! Love these so much!! Thank you!! Thank you these dog-related designs. I board dogs in my home and would love to make these as gifts next year. I am just now learning about the vinyl craze. These are perfect! That sounds great! I can’t wait to see what you create! 🙂 These designs will be perfect for that! Thanks for these great freebies. Appreciate it so much. Just what I was looking for! FAB, yet again…and again, and again and again!!! !